FACT: 300 people are hospitalised every year with serious electrical injuries and burns. Having safety switches installed saves lives. It’s that simple. When something goes electrically wrong in your home, having a safety switch installed can be the difference between life and death. A safety switch is a device that is designed to cut power to an electrical circuit when there is an electrical fault or leak. It cuts power in 0.03 seconds. This is fast enough that the person doesn’t have time to get electrocuted. What Causes an Electrical Accident? There can be many different causes of electrical accidents in the home. A handyman drilling through a live wire inside a wall, a child putting something into a power socket, changing a light globe on a fault light fitting, a faulty appliance or damaged cord. Electricity is all around us and while most of the time it makes life easier, it can take just seconds for a life and death situation. Do I Have Safety Switches Installed? A safety switch is also called Residual Current Device (RCD) and can be recognised by the button marked ‘test’ on the front. This helps to distinguish it from a circuit breaker, which looks similar. Many homes have circuit breakers installed, however these only protect against overloading and short circuits. Circuit breakers are good, however they do not provide enough electrocution protection. It takes just 30 milliamps to trip a safety switch, compared to 16 amps for a circuit breaker on a power circuit. This can be the difference between life and death. If you are unsure about whether you have safety switches, or you need them installed, it is important to contact your Gold Coast licensed electrician. Having safety switches installed in your home is crucial for ensuring the safety of the inhabitants. The long term benefits provided by safety switches far outweighs the price tag. It is important that we see them as a necessary investment in our safety. Contact your Gold Coast licensed electrician regarding safety switches in your home. Even though, living on the Gold Coast, we are in a warmer part of Australia, we have all started to feel it recently… winter is coming. The approach of winter can cause anxiety for many of us because we know that the cold weather means heating and heating can be expensive. So, with that in mind, we have put together this article to help you to take steps to take control of your wallet and reduce the costs of keeping your home warm this winter. Sounds weird, we know! But, think about how warm your kitchen and living area becomes when you cook. Cooking is a great way to warm the air in living areas - plus you get to eat something delicious at the end - win, win! With supervision, you could even leave your oven open for a few minutes after cooking, allowing the heated air to escape. You have already paid to heat the oven - you may as well make the most of the heated air. Having your home properly insulated can make a huge difference to how well your home can hold warmth. Close curtains and blinds as the sun goes down. This keeps the warmth from afternoon sun in and cuts down on the cool night air that can enter. As the air outside cools, the glass in windows also gets cold. Closing windows and blinds forms a barrier so that the cold air is not able to enter as easily. Adding bookshelves or artworks to solid brick walls can also help to insulate and trap heat. Adding ‘door snakes’ to doors that lead outside can cut down on cold draughts from entering the room, further trapping the warmth inside. You may have noticed that rooms with carpet seem warmer. This is because carpet offers insulation, further trapping heat. If you have tiles, floorboards, stone or exposed concrete, you may find warming a room more difficult. 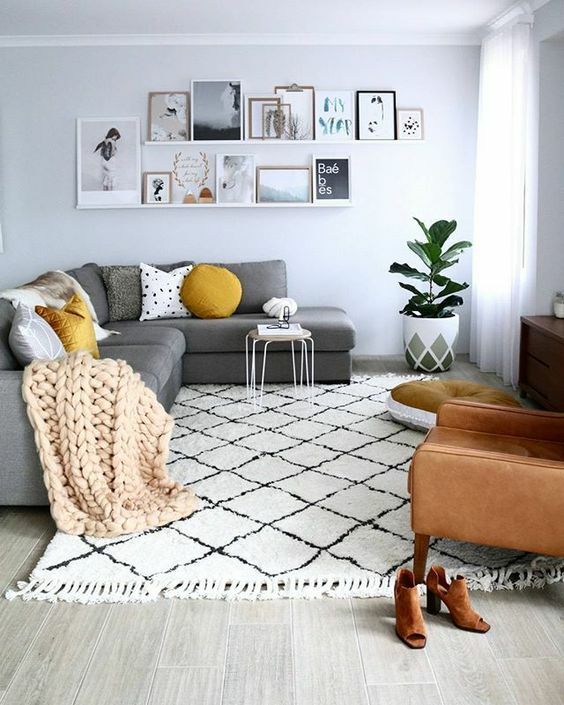 Adding rugs and mats can make a huge difference - yes they can be an investment, but in the long run, they can be much kinder on your wallet! If you are not using a room for the night, shut the door. This means that you are able to more efficiently warm your home, putting energy only into the spaces where you need it. Heaters are absolutely a great way to heat your home, however it is important to use them effectively so that they are able to run most efficiently. Turn heaters off when you are not home - sounds obvious?! You would be surprised! Use a thermostat and set the temperature to 20 or 21 degrees. It might not sound warm enough, but this is actually the optimal heat for winter. It is important to be aware that while electric heaters can be cheap to purchase, they can sometimes be more expensive to run for long periods. Consider investing in a reverse cycle or ducted air conditioner if you are a home owner. While they can be slightly more costly at the beginning, they can heat an area quickly, efficiently and with relatively low power usage. Contact a licensed electrician to discuss your home’s suitability. If you use your air conditioner for heating, set the timer. Having your heater come on 30 minutes before you wake up in the morning can make getting out of bed easier - and it makes it less tempting to blast the heater because you are feeling too cold! Likewise, if you arrive home in the evening, setting the timer so that it comes on half an hour before you arrive, you will be much more comfortable. Having a wifi controller added to your air conditioner can mean that you can turn your heating on before you get home if your schedule is less predictable. While heating your home can seem expensive, implementing some of the ideas outlined in this article can make a definite impact. Making small changes can help your family to stay warm and snuggly this approaching winter.